Make time management the key – Keep a close watch on the timer while solving every problem. Move on to the next question if current one is taking a lot of time. Time management is the key when it comes to cracking the SNAP exam and it’s going to be no different in 2019. Prioritize – You must tackle the questions and sections based on their priority. It’s always better to attempt the easier and less time-consuming questions first. Questions that seem easy but involve plenty of calculations must be solved later. Be smart with the preparation – Although hard work is very important, your efforts must be directed at the right place, using the right approach. Be smart with your preparation and get started before everyone else. Be thorough with the syllabus – Although it’s not very easy to cover all the topics comprehensively, it would be in your best interest if you manage to do so. It’s important that candidates don’t leave any topics which are frequently covered in the entrance exam. Self-made notes and regular revision is the key – It cannot be stressed enough that you must revise the syllabus on a regular basis. Quality-time must be given to every section and the easily-forgettable topics must be revised more often. Apart from that, it’s very important to prepare notes. All such self-made notes can play a key role during revision as they can help you in quickly revising the concepts, tricks and formulae. 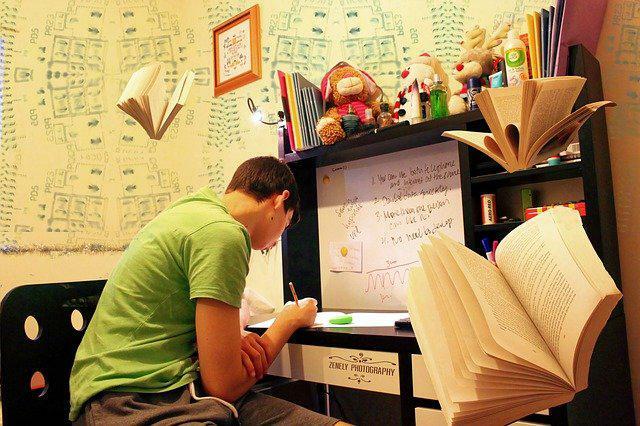 It would be even better if you prepare these notes well in time and put them on your study wall. Avoid picking any new topic in the last week before exam – Rinsing and repeating the study -> practice -> revise pattern will be the key to success in SNAP 2019. It’s important to not just skim over the topics but to study them well, and then revise them on a regular basis. Whatever you do, never become complacent and go light on the topics you’re comfortable with. Furthermore, avoid picking up anything new in the week preceding the examination date as you’ll not be able to do justice to it. Practice week topics regularly – It cannot be stressed enough that you must identify your weak areas and practice the weak topics regularly. All such areas can be improved significantly with regular practice. You should not just practice the pertinent questions, but also master the tips and tricks surrounding them. Take mock tests regularly – The best way to be thorough with the examination pattern is by taking mock tests on a regular basis. These tests will also help you figure out your strong and weak areas. Other than that, they will also improve your time management skills, which as highlighted above, are very critical. Be well aware of the SNAP exam pattern – It goes without saying that you must be very thorough with the SNAP exam pattern and shouldn’t be caught unawares when you appear for the test. There will be 35 questions on Quantitative, Data Interpretation and Data Sufficiency, 35 questions on Analytical and Logical Reasoning, 35 questions on General English and 25 questions on Current Affairs.